BRYAN EATON/Staff photo. 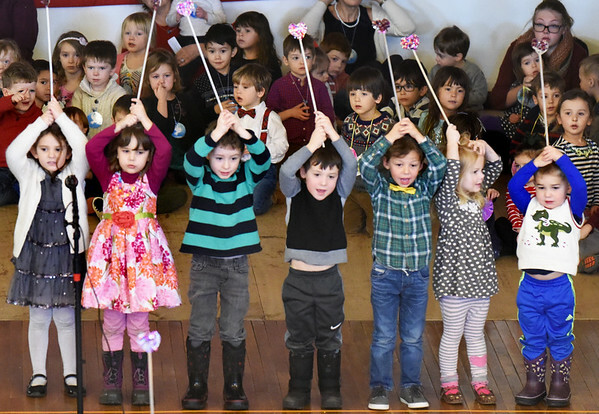 Youngsters sing "Love Can Build a Bridge" in the auditorium of Newburyport City Hall this week. They were at the Newburyport Montessori School' annual Peace Gathering.